Sarah started out with the intention of practicing Law, however, her love of sport and the outdoors led her to the Alps for ten years, and later on to qualifying as a ski instructor. More recently she has become a keen trail runner, starting with the Couch to 5k programme, of which she is a strong advocate. Sarah has experienced first hand the therapeutic and physical benefits of Sports Massage and Pilates. She started practicing Pilates 5 years ago, initially as a way to help the body to recover from skiing but it soon became an even more essential part of her life, helping her to gain flexibility, balance and strength following back surgery. In 2017 she trained in Modern Pilates and teaches mat based group classes in the Peak District where she now works full time. Sarah loves a challenge and through her classes, encourages others to have fun and get the most from them, often calling on her background as a Sports Massage Therapist and Ski Instructor to add another level to her classes! Since qualifying in Sports Massage, Sarah has worked alongside some amazing Physiotherapists in private practice, providing soft tissue massage as part of the patient’s overall treatment plan. Sarah treats a broad range of people from octogenarians who run half marathons to triathletes and those suffering from functional or occupational aches and pains, to keep everyone injury and pain free during their day to day activities. 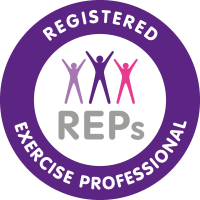 She is a member of the Federation of Holistic Therapists and the Register of Exercise Professionals and holds an Advanced Outdoor Emergency First Aid Certificate and Enhanced DBS Disclosure.